DIYers around the world can officially rejoice now that Tiffany & Co. has released a new line of “Everyday Objects” made from sterling silver, accented in Tiffany Blue, and marked up over 1,000 per cent. This is the kind of revolution we’ve waiting for with bated breath, growing ever tired of our slightly less shiny straws, yo-yos, tin cans, yarn, and paper cups. But now, thanks to a world-renowned jeweller, you may never have to set foot in a dollar store to get crafty again! Nothing says “I’m worth more than $30,000 a year” to an employer like handing over half a semester’s tuition in a single object that realistically can’t serve its intended purpose. Let them know they’re the real “world’s best boss” in a way no coffee mug ever can. Purchase two tin cans along with Tiffany & Co’s $12,200 sterling silver hand-spun ball of yarn, and you’ve got the best non-radio-wave-based walkie-talkie on the planet. There’s no way anybody will doubt your communication skills again! Have some extra cash laying around that you need to hide from greedy middle-class Canadians? Some people use offshore bank accounts to embezzle their funds, but those are such a hassle, and with all the recent leaks it’s hard to feel secure that way anymore. But the real beauty of these cans is that when the tax woman comes around, she won’t even consider these to be part of your net worth. 4. An investment that’s solid up to 961.8°C! 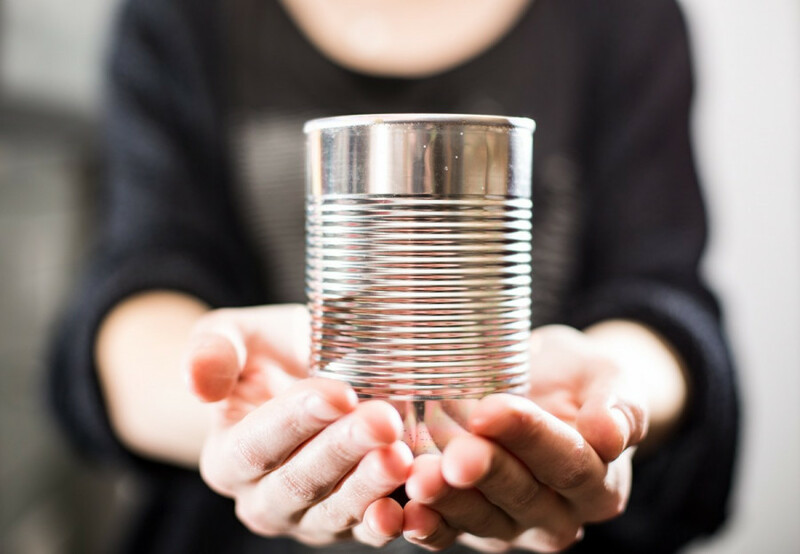 This can will likely withstand temperatures more than three times as high as a regular old tin can will! That’s got to be worth something in the future, right? Surely we’ve all grown weary of hearing how bad it is to throw out or recycle single-use items. Now, with this new silver, vermeil, and Tiffany Blue can, you can rest assured that your purchasing power will put a much larger strain on the environment. And the best part: you can still brag to your environmentally conscious friends about how much less waste you’re making. Have you ever thought about all the hard work your houseplants do for you? From brightening your day, to removing harmful and potentially carcinogenic aerobic compounds, these plants have totally had your back for the last two weeks. It’s time to give them the gilded home they deserve in a silver tin can. And now, you know how to break the news of your gaudy luxury escapades to your parents!